Midsize sedans are the ideal vehicle for a variety of driving lifestyles. However, nothing provides you with the same stylish exterior and luxurious interior as the 2015 Hyundai Azera. Butler Hyundai in Medford, OR is one of Oregon’s premier Hyundai dealerships and houses the largest selection of Hyundai models around. We proudly serve the Medford Metro Area, Grants Pass, and Klamath Falls, OR at our convenient location in Medford. Stop by Butler Hyundai for a delightful car-buying experience and see how luxurious the new Azera is. The midsize sedan segment has expanded with a lot of strong competitors, so let’s pit the 2015 Hyundai Azera against the Nissan Maxima and see how it does. The new Azera has a powerful engine that will turn your commute into something more luxurious. 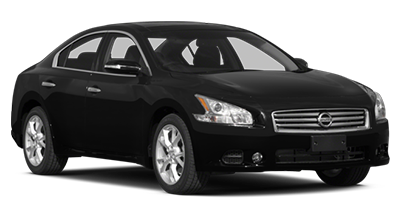 The Maxima is equipped with a 3.5L V6 making 290 hp and can get 19/26 mpg (city/hwy). The Azera has a 3.3L V6 producing 293 hp and can return 20/29 mpg (city/hwy). Not only is the Azera’s engine more powerful than the Maxima’s, but it also returns better fuel economy. If you plan on spending a lot of time inside your midsize sedan, then the new Azera is the vehicle for you. While the Maxima offers you with 95.8 cu. ft. of passenger space, the Azera provides 107.0 cu. ft. of passenger volume. That’s an extra 11.2 cu. ft. of interior space in favor of the Azera. With the extra interior space, the Azera has more front headroom, front legroom, rear headroom, rear legroom and much more than the Maxima. The 2015 Hyundai Azera adds some luxury to the tedious midsize sedan segment. 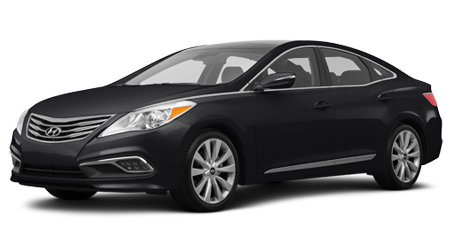 When comparing the Azera to the Nissan Maxima, the Hyundai has the upper hand with its fuel-efficient engine, spacious interior and comprehensive warranty. Visit Butler Hyundai in Medford, OR and test drive the new Azera today near the Medford Metro Areas of Grants Pass and Klamath Falls, OR.